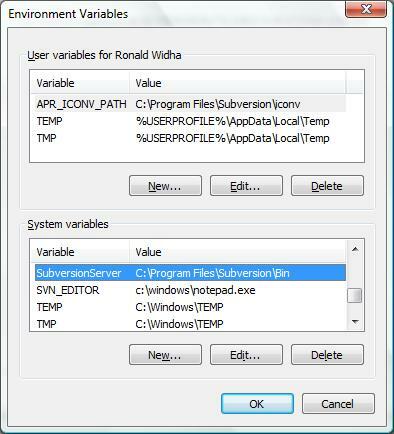 The issue is, how does one put in long directory name like 'Program Files' or 'Subversion Repository'? You need to enclose the long file name in escaped-double-quotes. That was what I first thought as well. Upon closer inspection svn_repos binpath argument expects the value to be enclosed in double quotes like so: "C:\DevSupport\Subversion\bin\svnserve.exe --service --root D:\Repository"
So when you have a long file name, you'd probably ended up with ""C:\some long file name\svnserve.exe" --service ...". Which what you might guess, won't work.